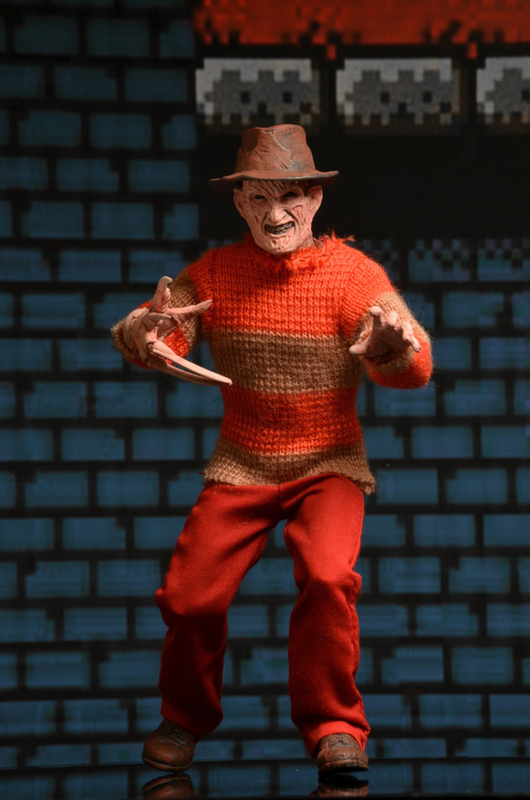 NECA’s surprise reveal is another take on one of its favorite characters. 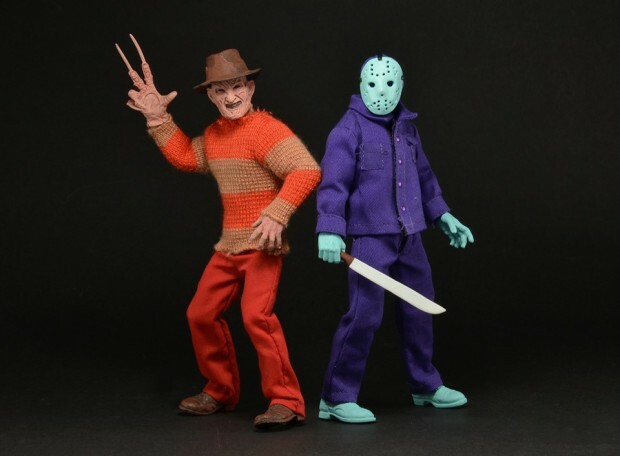 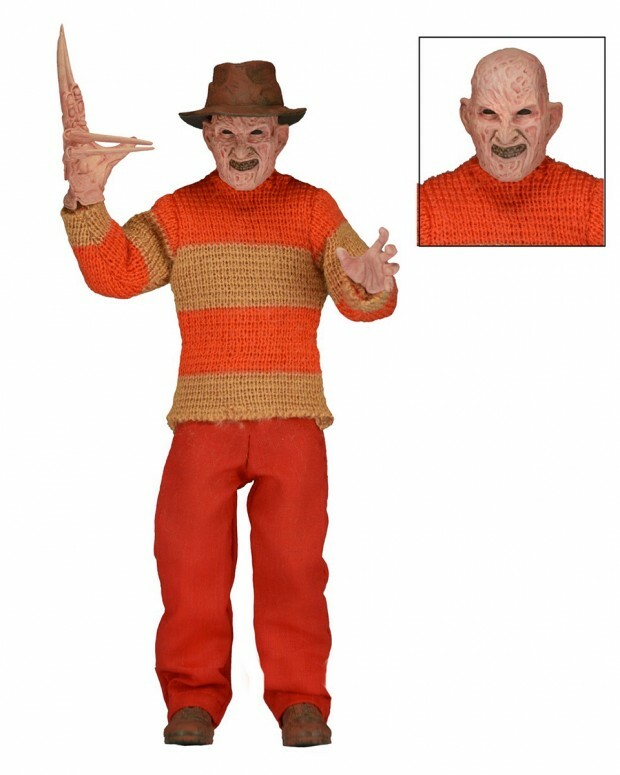 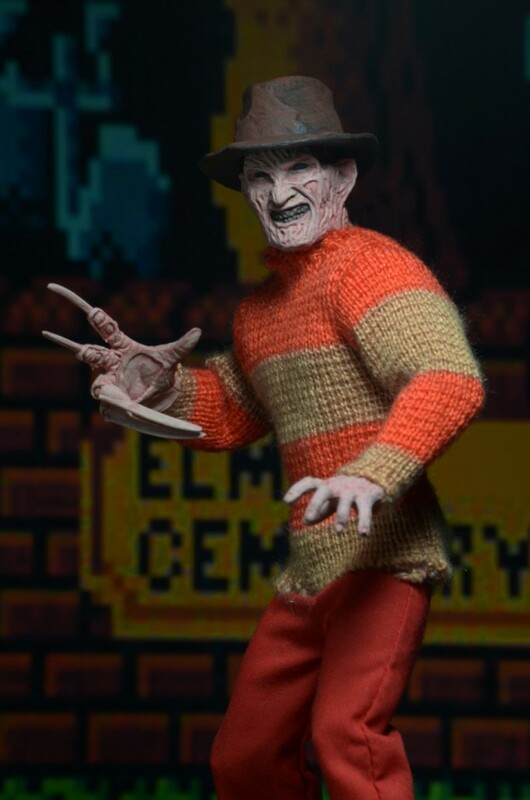 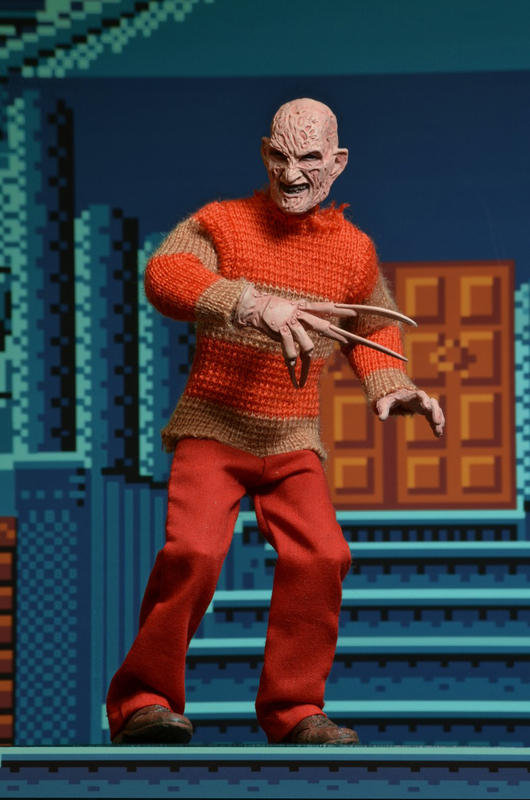 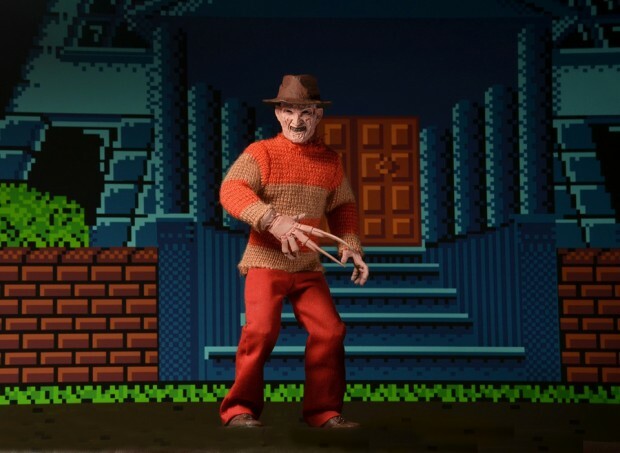 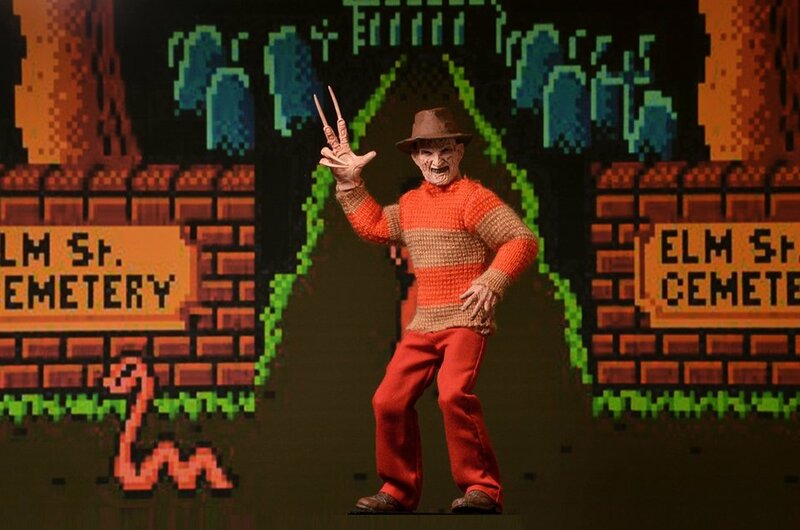 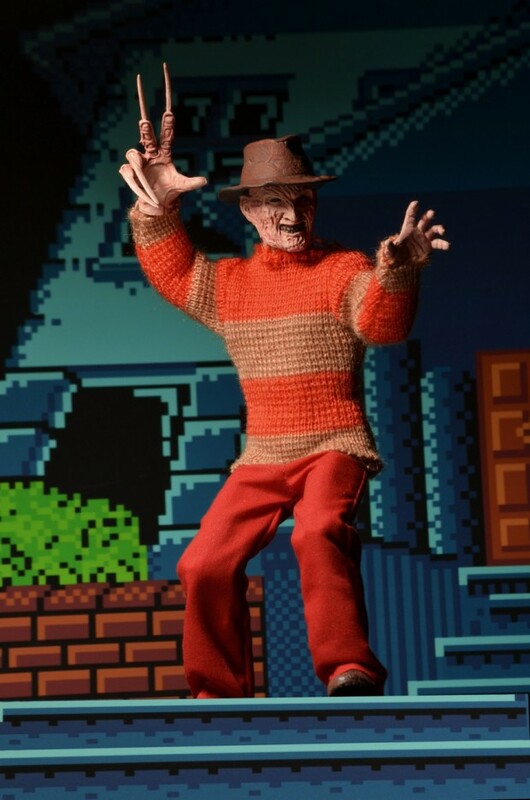 This 8″ Freddy Krueger action figure is based on his appearance in the A Nightmare on Elm Street NES game. 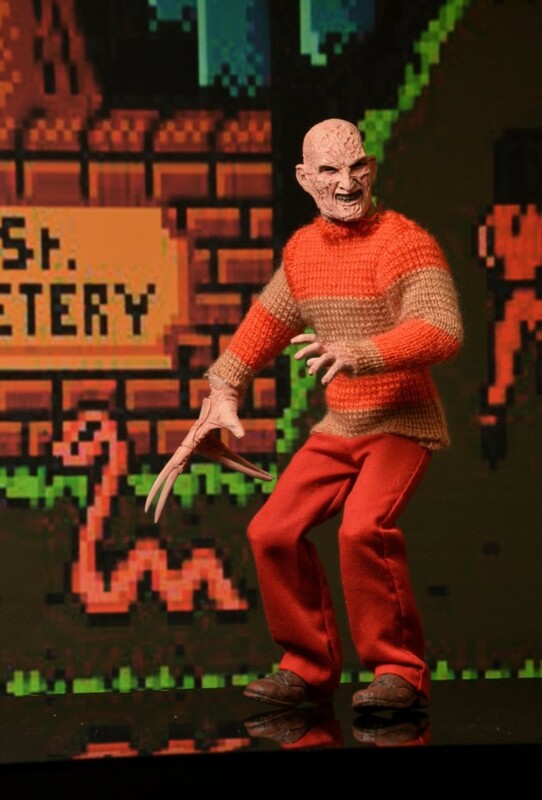 The game was crap, but I think Freddy looks better in orange and brown than in red and black. 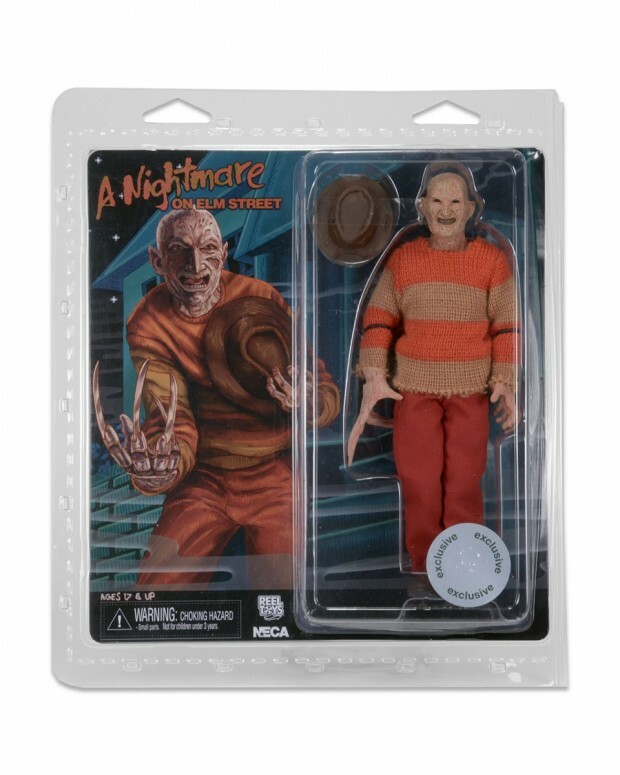 This action figure is available right now, albeit exclusively at US Toys R Us outlets. 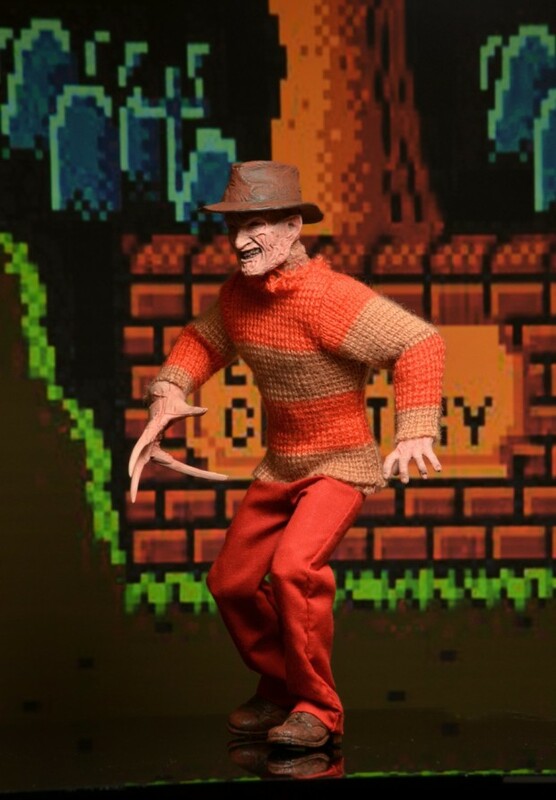 The shots below also feature the Jason Voorhees video game appearance figure that NECA released last year. 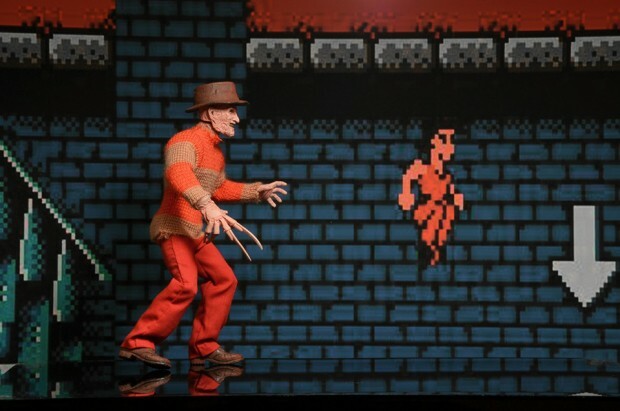 It’s a shame the 8-bit backgrounds in NECA’s beauty shots don’t come with the figure.